Mavens are known for their networking prowess, they always know about the latest trends, cool stuff way before anyone else ! Meet the Mobisode Mavens who are advocates of Viral Mobisode Magic . . .
Osmosis goes viral launching cinema chain ! 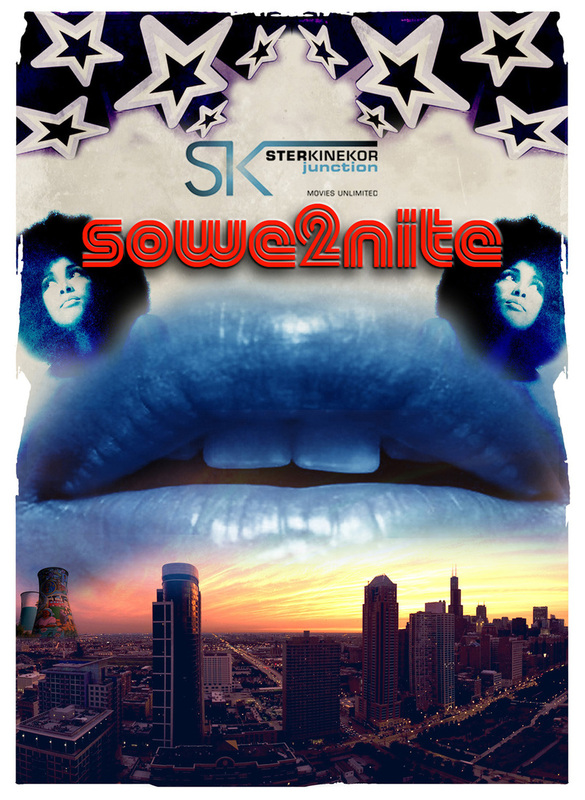 Partnering with Ster Kinekor & Off Limit, osmosis produces a viral campaign that launched the Maponya Mall Ster Kinekor - we launched with the viral concept of SOWE 2 NITE - so where to go tonight ! Based on the famouse Orange Wednesdays we launched SOWE 2 NITES on Thursdays where you simply txt a short code getting one free movie ticket - all it requires is you register a friend & bring them to the movie with you ! Flashmobs were organized where we set up celebrity look alikes such as Chris Rock who were limoed around the township handing out SOWE 2 NITE invites - the campaign is up and running at the time of writing & we will keep you updated as it rolls out ! funerals are normally sad affairs, not this one - enjoy the disruption ! all Chocolate phones resulting in a waiting list ! Viral Mobisodes the Cure for marketing as we know it ! How to create contagious advertising the Burger King way ! 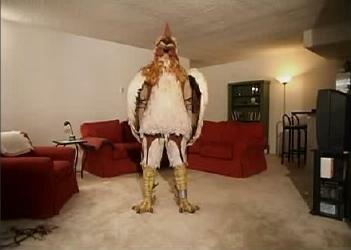 New York - ( April 2005 ) Something odd emerged on the Web, a chicken dressed in garters that could do seemingly anything viewers requested. After being seeded into several internet chat rooms " Subservient Chicken " instantly struck a nerve with bloggers , in part because the sites technology allowed viewers to type in nearly anything & get a responce from the chicken ! He can do the Birdy dance, push - ups , and even watch television. He seemed impossible to stump, even wagging his finger in warning should your request be rather racey ! Within a day after being released the site had a million hits, within a week 20 million hits. It went on to become the greatest Viral Idea ever ! We all have friends who want to share a joke with us or help with some useful information. You find it funny or useful & sms it on.When used as a business tool, it's called Viral Marketing & it's very profitable.Viral Marketing disrupts the outmoded conventional approach of traditional mass media & takes the consumer by surprise. You know when the TV ads appear. You know what a print ad looks like & you turn the page. You don't know what a mobisode looks like when sent to your mobile. With the arrival of 3G technology, video can be viewed effortlessly on mobile phones, making it a commercially viable proposition. Great creativity & knowledge of how it works will make your Mobisode Viral, spread & grow when seeded ( the natural catalyst for great Virals ) It's all about social networking , peer to peer relationships are forged in turn becoming brand advocates ! Texting, sms is now outmoded as mobiles become more enhanced with disruptive technologies . You can send an image or even a TV commercial that is formatted specifically for your mobile phone ! Why advertise where all your competitors Advertise ? Traditional marketers are not aware of the impact of Mobisodes & also not recommending it,as traditional media planning companies only operate in a traditional way. They don't get remuneration in the form of fees & commissions from Viral Mobisodes , so why should they endorse it ? Get into Viral Advertising with Mobisodes Now ! We create Viral advertising messages on various media ( TV , Short Movies , Print ) that gets passed on from person to person , this increases brand awareness , as well as call to action & sales. It costs a tenth of traditional advertising & when it gets passed on the value increases. Imagine sending a viral TV commercial to 20 000 prime customers every day for six weeks, who in turn send out your Viral message to all their friends & associates. Imagine this is repeated at infanatum , Imagine you can target your audience pshchographically a lot more acurately than ever before. There are ways to stimulate consumers & making your communication spread like wildfire !We are the people to talk to , we are the new Viralists , venturing out where others fear to .... tread ! Mike Rossi & Leon Orsmond have been Creative Directors in large multi - national ad agencies as well as owning their own agencies. Winners of awards for effective advertising as well as creative awards globally. We are dying to spread the Virus ! What does the production of a traditional TV commercial cost including cast , music composition & production through to final post production. Some of you have paid over a million rand for one TV commervcial. We make the creative Strategy /Idea at a fraction of what your traditional TV campaign costs. For around R 200 000 ex. vat , you get a concept & the production of a TV commercial formatted for mobile phones - it could also include the on - line media costs. To add greater value - There's more , you could even flight that commercial on TV locally as well as globally ! What we did for LG Chocolate ! LG Chocolate launched with a Mobisode that went out to over 20 000 mobile phones daily for six weeks, it was also seeded online to well known sites such as Ananzi.com , iAfrica.com , as well as the Media24 site. Cool Hunters were encouraged to download the Mobisode & pass it on , at the end of the six week period the Mobisode had been seen by over 4 million people , it was a first for the South African market. LG Mobile was so impressed with the Mobisode that they asked for a 30 second version for TV. Mobisode / Virals : Case Studies from around the World. 3G Mobile launches Audi Quatro Sport with Mobisodes. The Audi Quatro Sport was launched in the UK with a rich media Mobile / Mobisode campaign. Smartphone users are able to view content related to the TT Quatro Sport by just accessing a short code. Viewers take a tour of the entire car using their phone keypads to zoom in on particular features. There are also wallpapers available to download and send on to a friend. Pepsi unveils Global Mobile Strategy. Toyota Yaris launches with Mobisode/Game. Toyota's " Got Game " launches it's new youth oriented Yaris with a Mobisode Viral Campaign - Video clips that play over high speed mobile phones, using banner ad games allowing multiple players where a cartoonish Yaris fights with Matrix like machinery. In this entire campaign creative media blure the line. Amazon & Bacardi launch with audio Mobisodes ! Man United launches Mobisodes globally ! Mobisode Mavins will keep you posted on Viral Mobisode developments out there should you require our services please call leon orsmond on 072 4009517 0r mike rossi on 083 2604632 south africa. Coming soon / the great Bently Print ad that went viral ! X - Box launches with viral street theater / Mobisodes ! My Space founders discuss the Mobisode Phenomenon ! Banksy : Genius Urban Viral Guerrilla takes on Hollywood ! Kevin Beamer on Viral Mobisodes the Cure for marketing as we know it !